Just like its name, Grand Maharashtra Beach Tour is an extravaganza exploring the undiscovered hinterlands of this western peninsular state. Spread over a fortnight, this itinerary presents a contrasting amalgam of destinations. Some of them are cosmopolitans like Mumbai, Aurangabad and Pune, accessible by almost every mode of transport, whereas there is Matheran with not even bicycle ride allowed on this fragile hill station. Such is the vivid life and heritage of Maharashtra that is going to be explored during this journey. Other attractions to explore during Grand Maharashtra Beach Tour include a visit to idyllic retreats of Lonavla, Matheran and a fulfilling excursion to Ajanta and Ellora caves. On arrival at Chhatrapati Shivaji International Airport, Mumbai, you will be received by Incredible India tour representative who will take you to hotel for check in to this commercial capital of the country, Mumbai. Spend your day in leisure via nature walk or through admiring the city life, sky scrapers and bustling beaches of Mumbai. Dinner and relaxing overnight will be at the hotel. 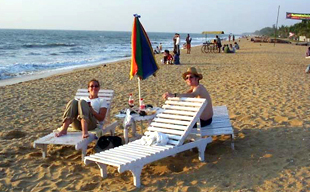 Next day formally the Grand Maharashtra Beach tour will begin in its majestically spectacular form. Post breakfast session, our tour representative will guide you for a Mumbai City Tour. This majestic sightseeing will include an excursion to Gateway of India, the 26 m long stone basalt arch on the road's end to Arabian Sea's edge in the Bombay harbour. This is a prominent tourist destination and an icon of Mumbai. The day furthers with an illustrious sightseeing to Elephanta Caves (Closed on Mondays). Reached by a sea ferry towards 9 km northeast of the Gateway of India, a visit to this island takes approximately1 hr time and displays a labyrinth of Hindu cave temples carved into the basalt rock. Prominent among stone sculptures is the main Shiva temple featuring 6 m tall statue of Sadhashiva depicting a three faced Shiva as the destroyer, creator and preserver of the universe. Also known as Gharapuri, the place of caves, Elephanta got its name after the colossal stone elephant was found on the island. Dinner and overnight will be at hotel. After gorging sumptuous breakfast in the hotel, depart for Lonavla which is the ultimate tourist spot for wandering souls. Located 106 km southeast of Mumbai, this hill station is a weekender's relief from the tropical weather of this metro city. Do try famous local sweet chikki during shopping at local Lonavla markets. Lonavla does have a worthwhile trump card calling tourists to its two ancient cave temples of Karla and Bhaja. These temples are revered and marvelled for their ancient secrets etched in rock cut Buddhist caves. Post this guided excursion, relax in your hotel. Dinner and overnight will be earnestly served to you. Early morning after relishing breakfast, you will be heading towards a leisure excursion to Lonavla's exquisite surroundings. Trek through the picturesque points, lakes, fort and a museum of this hill station. Return back to the hotel and relax in the plush surroundings of a luxury hotel. Early morning after breakfast, you will be transferred to the peace and environmental loving hill station, Matheran via 1 hour 25 min drive on Neral Matheran Road. Rest of the day is at leisure for exploring the beautiful surroundings and gazing at the picturesque beauty of Matheran. Dinner and overnight at hotel. Early morning after breakfast at the hotel, you will be transferred to the sacred city of Nasik, on the famous Ghats of Godavari River. On arrival, proceed to check in at hotel. And after taking buffet lunch, visit exotic estate of Sula Vineyards for a wine tasting tour in Govardhan Village of Nashik city. Experience how the classic wines are manufactured in world class winery system in India. Unleash an opportunity to taste the classic wines of India and walk through the grape orchards of the city. Dinner and overnight will be at hotel. Morning after breakfast, you will set out your journey towards the sacred land of Shirdi by road. Shirdi is the birthplace of Sai Baba famous for its sacred temple. On arrival in Shirdi, you will be transferred to check in at hotel. Thereafter, proceed to visit the most reputed temple of the town, 'The Temple of Sai Baba of Shirdi'. Rest of the day is at leisure to spend in sanctified atmosphere. Dinner and overnight will be at hotel. 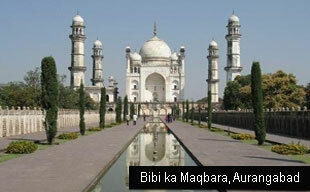 Post breakfast, leave by surface for 2 hr to Aurangabad, the city named on the last powerful Mughal emperor, Aurangzeb. On arrival Aurangabad, proceed to check in at hotel. Rest of the day is at leisure to catch sight of amazingly serene surroundings of the city via its Mughal architecture via Bibi ka Maqbara, Aurangabad Caves and Tughlaq’s Daulatabad Fort. Dinner and overnight will be at hotel. Early morning after breakfast, full day excursion to Ajanta caves. The Ajanta caves are an awe-inspiring way to marvel at the art of the ancient era, dependent entirely on artistic passions that converted rough stone walls on to larger than life canvasses. Buddhist in nature, this cave complex comprising 29 caves is an excellent way to turn back to the heritage of the artistic ancestors. Rest of the day is free. Dinner and overnight will be at hotel. After an amazing excursion to Ajanta Caves, its time to explore Ellora, a twin cave complex reached out via Aurangabad. The remarkable feature of Ellora cave complex is its excellent sculptures. The world heritage site, Ellora is an aesthetic amalgam Buddhist, Hindu and Jain influences who invested their five centuries to carve monasteries, chapels and temples with remarkable detailing. Leave for Pune after lunch covering 238 km by surface (4 hours 24 min). On arrival, proceed to check in at hotel for relaxing overnight. Pune, the seventh largest Indian metropolis is fondly called as India’s Oxford. And why not, this cultured city has sprawling campuses brimming with the enthusiasm of the youth; shaping up the future of thousands of students every year. This city is visited for its peaceful life and is a pride of Maharashtra. 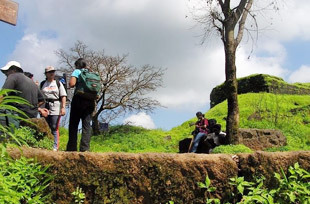 Visit Tribal cultural museum and Sinhanad Fort during the Pune city tour. Overnight stay in the hotel. After taking breakfast, you will be transferred to commercial city, Mumbai. On arrival, proceed to check in at hotel. After lunch, rest of the day is at leisure on the different beaches of Mumbai. 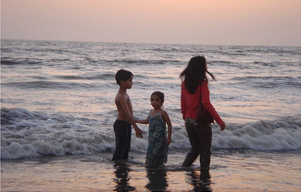 Visit Juhu and Chowpatty beaches for a fun-filled experience on a beach. Dinner and overnight at hotel. Early morning after breakfast, you will be picked up from the hotel and dropped at Chattrapati International Airport, Mumbai to catch the flight for onward destination.